Djabe will return for the fourth time to the beautiful bulgarian city, Bansko. The open-air stage at the Main Square is a great venue to play for the international audience on a beautiful summer night. 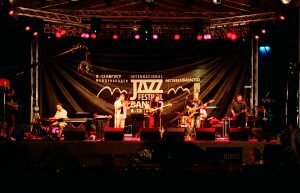 Emil Iliyev the festival producer collects different, but top jazz musicians all over the world.